The Aviation Program gives Snowy Mountains Grammar School students the opportunity to soar, as they are introduced to the exciting world of flying. 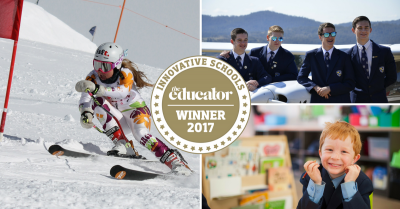 Expanding in 2019 to incorporate seven full courses, the Program is one of the few offered by an Australian high school. Each level of learning offers students a new and stimulating way to engage with their education, through the application of maths, physics, and geography principles in a real-life setting. SMGS’s Aviation Program are perfect for students interested in perusing flying for both recreational or commercial purposes. It is founded on the desire to foster responsibility and integrity in students, provide enhanced career opportunities to school-leavers, and inspire dynamic, cross-curricular learning opportunities. From 2019, the Aviation Program will be open to students from years 7-12. Due to the nature of the activity, the Aviation Program’s courses are conducted both during and after school hours. SMGS offers seven courses to students, three of which result in commercial qualifications. Those courses providing commercial qualifications are externally assessed to maintain an exemplary teaching standard, and ensure that each student receives an internationally-recognised qualification. This course provides an introduction to SMGS Year 7 and 8 students, to the world flight. The Introduction to Aviation Certificate is an interactive theory-based course, with modules on airlines and aircraft, and the career opportunities available within the Aviation industry. Students also undertake a case study on the Boeing 747-400, and Remotely Piloted Aircraft. This course offers students the opportunity to take to the skies! Training begins on the ground, in the SMGS classrooms. Students learn about the theory of flight, and are given the opportunity to hone their flying skills from the safety of the school’s flight simulator. Alpine Aviation Australia externally manages all of the SMGS Aviation Program’s flying and flight assessment. Students are encouraged to undertake 5 flying lessons, all of which are conducted in either the Jabiru J120-C or Jabiru J170-D. Both are modern, safety-first light-sports aircraft. Alpine Aviation Australia is located at Jindabyne Randall Community Aerodrome, a mere 5-minute drive from SMGS. 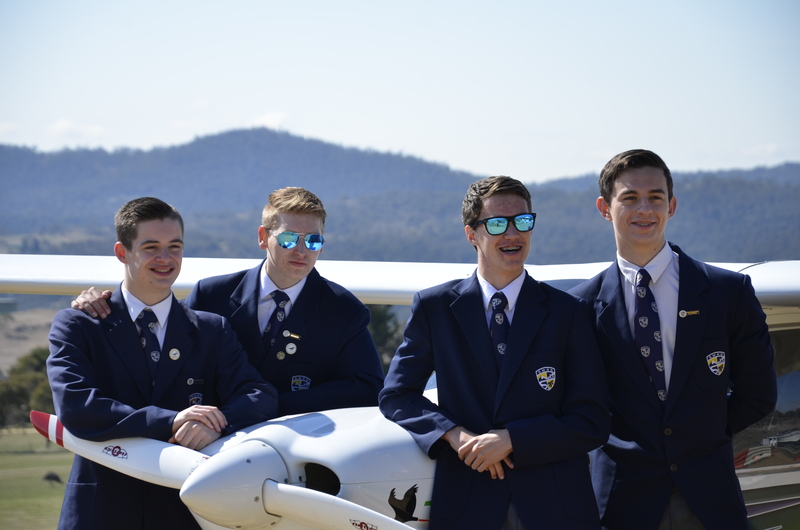 The Pilot Certificate qualifies SMGS students to fly within a radius of 25 nautical miles of the Jindabyne Randall Community Aerodrome and up to 10,000 feet above mean sea level, during daylight hours and in good visibility. As the final and most advanced flight course offered at SMGS, this course allows students the opportunity to build on their Pilot Certificate and further expand their aviation knowledge and skillset. Theory modules are conducted in the classroom at the school, and are externally assessed. This allows students to receive commercial qualifications, while ensuring that quality education and student safety remain paramount. Areas of study include Australian aviation law, navigation, meteorology, and flight planning. Students also have access to a flight simulator. 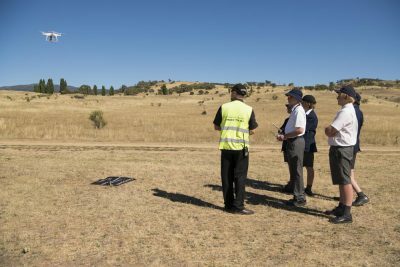 Flying lessons and practical assessments are facilitated and conducted by Alpine Aviation Australia, out of Jindabyne Randall Community Aerodrome. The Cross-Country endorsement authorises a pilot to fly throughout Australia, from most airfields (controlled airspace excluded). 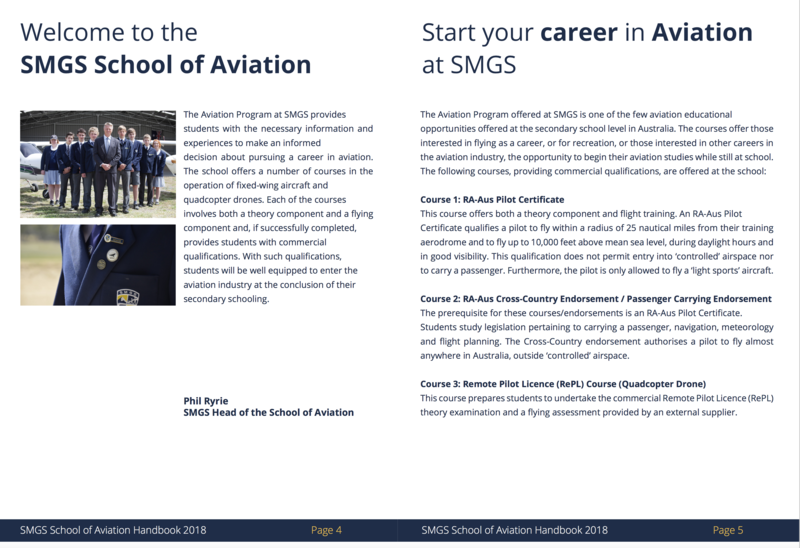 Click the image above to download the 2018 Aviation Program handbook. There is more to flying a drone than meets the eye! In this course, SMGS students undertake a thorough study of remotely piloted aircraft (RPA), as well as other ancillary topics. Involving both theory and practical components, the Remotely Piloted Aircraft License (RePL) course introduces students to the engineering of the machine, aerodynamics, and motion. Concepts surrounding aspects of flight such as navigation, meteorology, and both Federal and State law are also covered. Students receive their qualification through an external provider. Their skill and knowledge are assessed against a national standard. This course is perfect for those students who want to fly high, while keeping their feet firmly on the ground! The Aeronautical Radio Operators Certificate is a commercial course that allows students to become familiar with the procedures and equipment associated with communication in the air! The ability to correctly communicate via radio is a vital safety tool for any aviation enthusiast, and this course takes a hands-on approach to learning. Topics covered include radio set-up, legal requirements and responsibilities of radio operators, and the various procedures used in radio communication by the aviation industry. Emphasis is placed on learning how to maintain the radio set, place emergency calls, and manage a loss of radio communication during flight. Thus, this course is externally assessed to ensure safety standards are high, and quality control is maintained. For those interested in combining creativity and technology, the Remotely Piloted Aircraft Aerial Photography course provides the perfect combination of art and aviation! SMGS students are invited to develop their photography skills, as they apply to a Remotely Piloted Aircraft. This course involves an introduction to photography and image processing, as well as the application of those skills to the aerial camera. Students also learn about legislative requirements, and further develop their piloting skills. The Remotely Piloted Aircraft Aerial Videography course allows students to further diversify their portfolio. 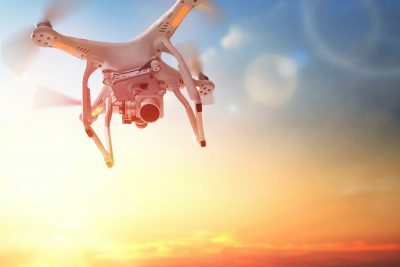 Building on previously acquired knowledge, they work through various modules and learn more about Remotely Piloted Aircraft, the aerial video camera set-up, and how to process content. In this course, imagery is captured on a DJI camera, and professional-grade software is used to create a final videography project. Once qualified, students are provided the opportunity to attend outdoor school events in an official capacity, and capture content for use on various media channels. 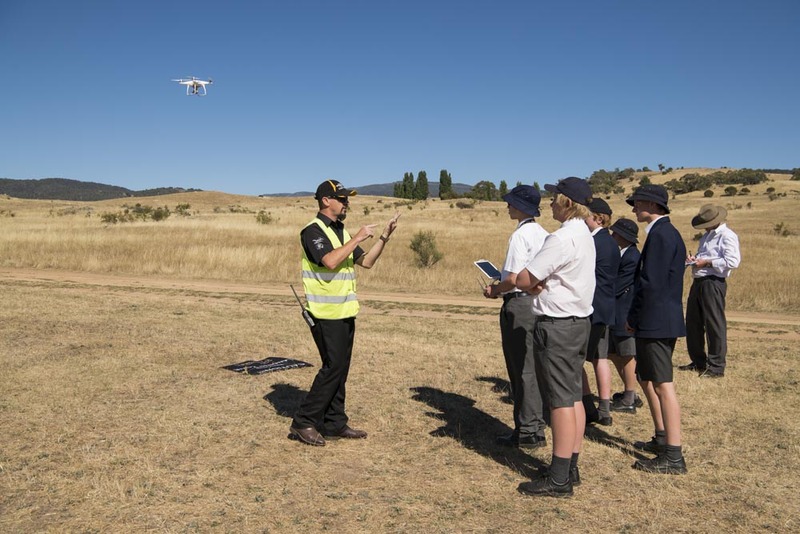 The SMGS Aviation Program and all associated school-based learning is facilitated by Mr Phil Ryrie. Mr Ryrie is a teacher at SMGS, and a passionate aviation enthusiast. He is the Head of the SMGS School of Aviation. 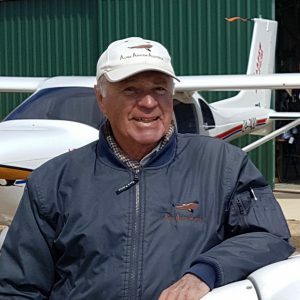 Mr Ryrie has had considerable experience and exposure to both Commercial and General Aviation training environments. 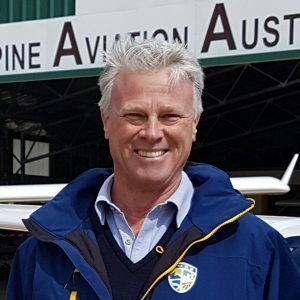 Mr Martin Hughes is the owner of Alpine Aviation Australia, and the school’s Chief Flight Instructor. Mr Hughes, is a former RAF pilot and trainer. He been flying since 1961, and has amassed thousands of hours of experience. 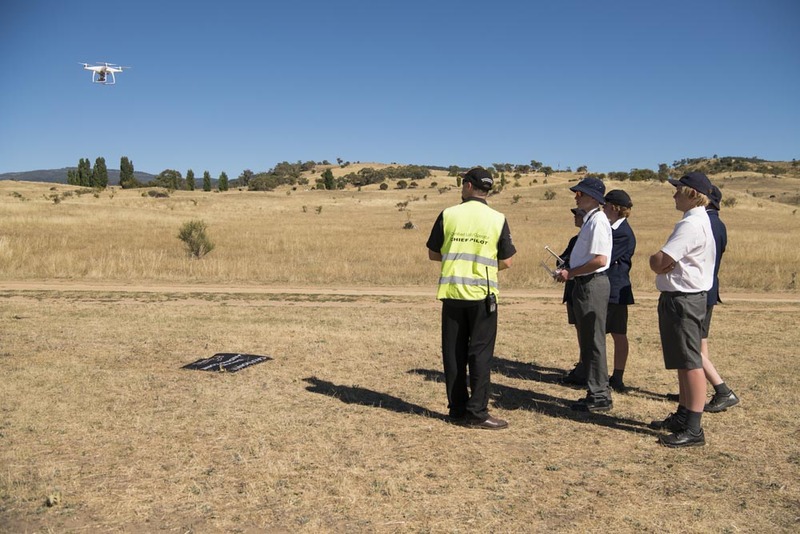 Alpine Aviation Australia offers flying instruction for beginners of all ages, conversions from General Aviation or type, flight reviews, and Recreational Aviation Australia endorsements. 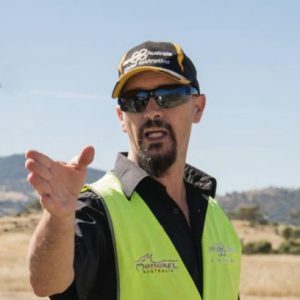 Mr John Fleming is the CEO and Chief Instructor of FPV Australia. Mr Fleming’s company has manufactured custom-built drones since the early 2000s, and is a pioneer and leader within the industry. He is dedicated to providing safety-focused, quality training. Mr Fleming trains RPA pilots for both public and private organisations. FPV provides SMGS students both the RePL and Aeronautical Radio Operators certifications. The qualifications achieved by students within the SMGS Aviation Program provides students with immense professional opportunity. Possible career paths include Commercial Pilot, Flying Instructor, Airport Operations Manager, Australian Defence Force Pilot, Marketing Content Creator, Infrastructure Inspector, and Videographer. The SMGS Aviation Program regularly provides students with the opportunity to engage with professionals in these areas. Graduates of the Aviation Program have pursued further study via the University of New South Wales’ School of Aviation, and the Australian Defence Force Academy. Others have commenced pilot cadetships with commercial airlines, such as Qantas, Virgin Airlines, Regional Express, Sharp Airlines, and Air Arabia. Aviation can provide a lucrative career-path for those passionate about the industry.